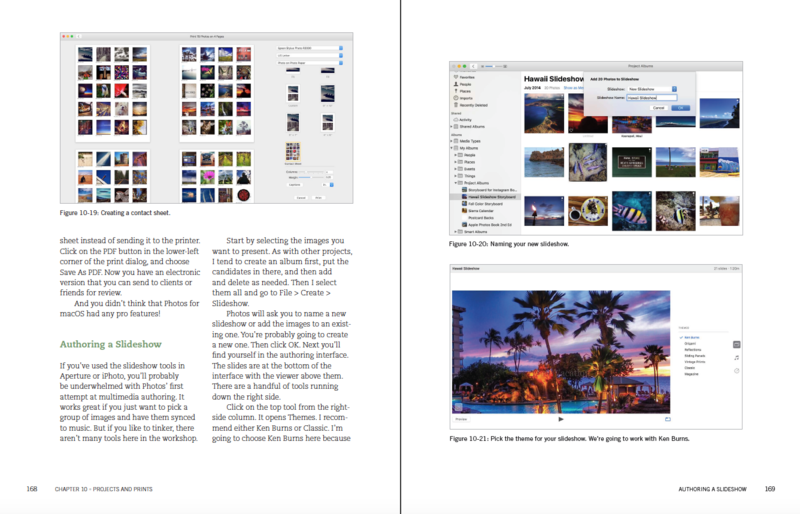 Apple’s Photos for OS X app was designed from the ground up to help you organize, edit, and share your pictures and videos. While the interface appears simple, finding the hidden nuances of Photos is not so straightforward. And with the launch of the latest Photos app, there’s more to this app than initially meets the eye. 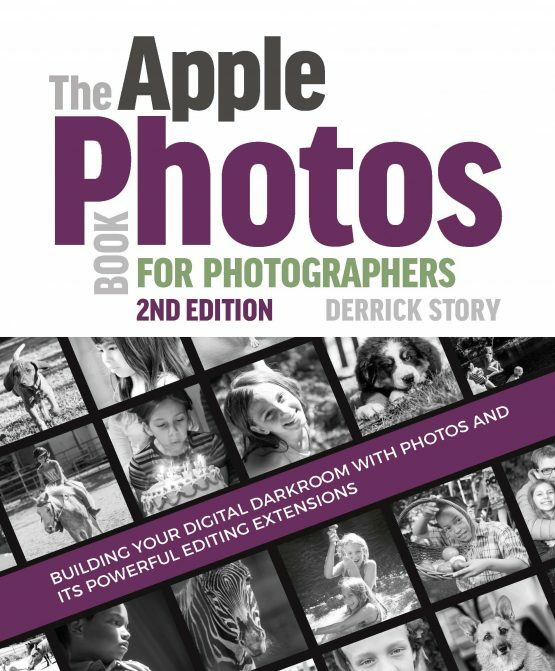 For photographers who are more than just casual snapshooters, or who are making the transition from Aperture, iPhoto, or simply the previous version of Photos, The Apple Photos Book for Photographers, 2nd Edition, by Derrick Story shines a light on the true sophistication of this app and the ecosystem it taps into. 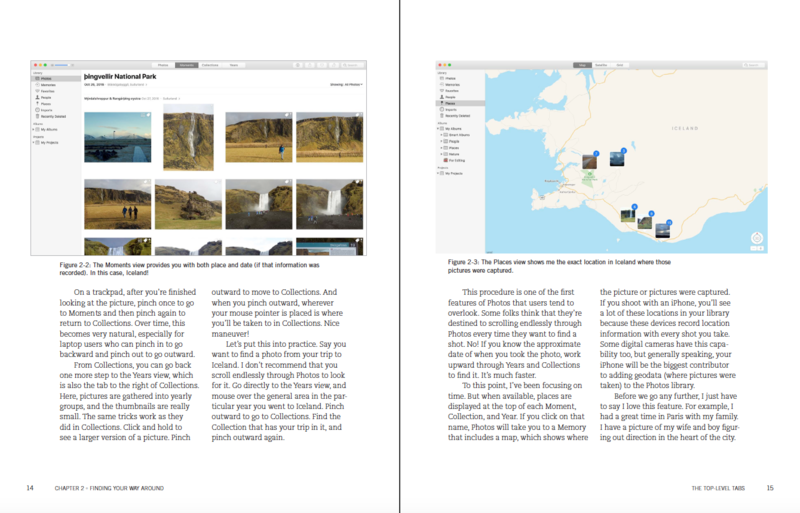 From the point of view of a working photographer, Derrick provides everything you need to know to get the most out of the imaging tools built into Mac OS X and iCloud. Apple’s Photos is a robust, all-in-one solution for managing, editing, and sharing your photos. And The Apple Photos Book for Photographers is all you need to make the most of this great imaging ecosystem! Product ID: 1119287 SKU: 1133. 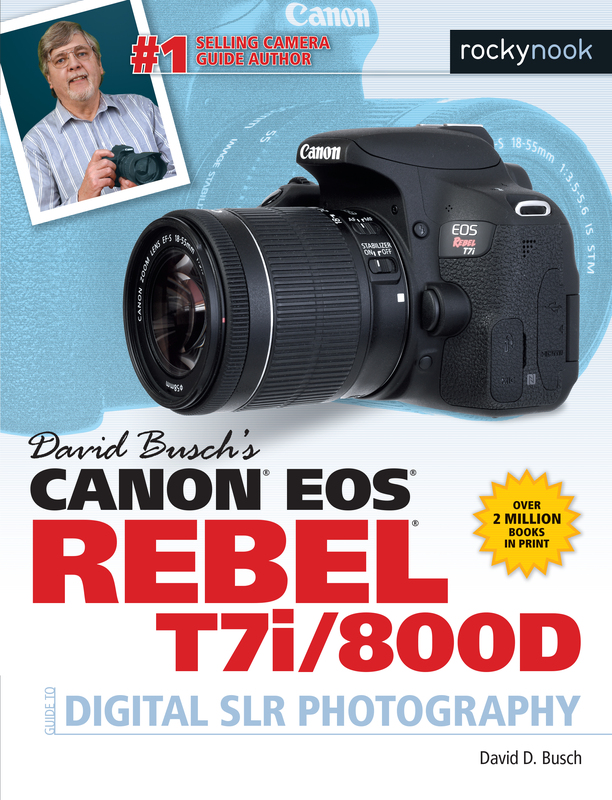 Categories: Apple Photos, Ebook, Image Editing, Photography, Print, Print and digital bundle. Tags: Apple, apple photography, apple photos, apple products, photo management, photos on apple. When people ask that I recommend a photography podcast for their listening enjoyment and education, I try to match them to the type of newscaster/storyteller they’d most enjoy, since each podcaster has his own style, temperament and personality. Jared Poulin of Fro Knows Photo would be your Howard Stern of podcasting; Frederick van Johnson of TWIP is more like Anderson Cooper. And Derrick Story- well, Derrick is like Garrison Keillor, the Prairie Home Companion of podcasters- he’s extremely relatable, loves to illustrate his ideas with stories, and invokes an image of fireside-chatting his way through teaching material. And Derrick writes just like he speaks on his Digital Story podcast, so prepare for a book that’s calmly paced, reflectively considered and aimed at regular folks. Apple’s Photos application replaced both iPhoto and Aperture, hitting a midpoint between those programs that had been targeted for the amateur and professional respectively. Story does an excellent job acknowledging the pros and cons of the new program and makes no excuses for the fact that Apple no longer has a program for pros. 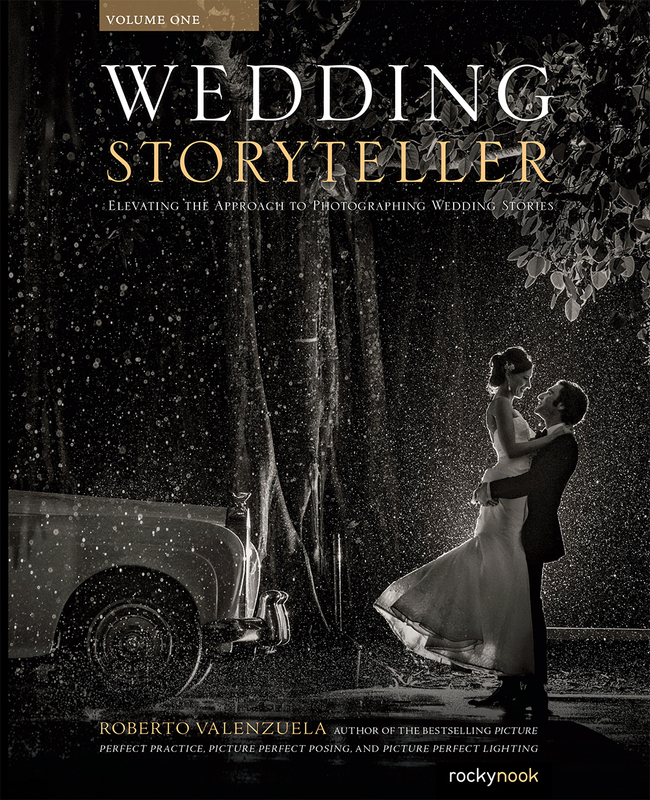 That said, this book is a celebration of Photos, a program that offers much to most non-professionals. The book begins as expected with instructions and explanations for migrating from iPhoto/Aperture, navigating the interface, and manipulating images using both simple automated and advanced manual techniques. The interface is well designed, but Story exposes features that may well have remained unknown if you had not had a mentor, or instructional text, to find them. Most importantly, Story spends a great amount of time explaining the many features that Photos provides for organizing, cataloguing and sharing your images, especially if you have bought into Apple’s iCloud service. Photos’ greatest strength for iCloud users is its ability to utilize the service for backing up (and storing your full sized images, thus reducing your hard drive’s memory allocation for files as only small jpgs exist on your computer) and for sharing with others. 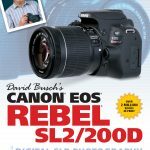 If this was the limit of Story’s book, it would have accomplished much is introducing the average user to their Photos workflow. But the next half of the book is what really empowers users who do not need a pricey and complicated pro app but want added control. Chapter 11 explores Editing Extensions where Photos’ ability to literally extend your abilities by storing your images in Photos but round-tripping them to 3rd party software for editing tools that go beyond Photos’ abilities. Story briefly explores nine different programs and how to integrate the with Photos. I was most impressed by both Luminar and Pixelmator- programs that bring Photoshop-like control without the need to sign on to Adobe’s monthly service contract. Other advanced topics include geotagging, utilizing metadata, ordering/making prints and books, and video. 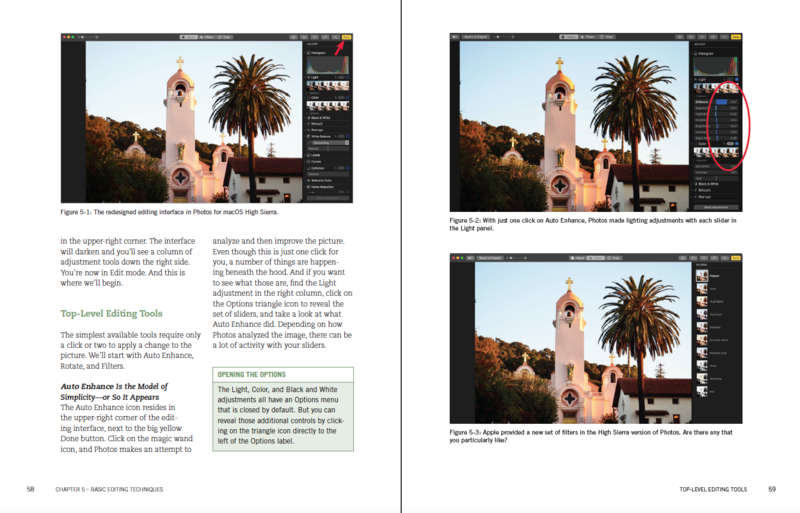 The Apple Photos Book both explains the program and reveals its hidden strengths- while Photos will never replace the professional Aperture program, it has extended what had been iPhoto to a new level. Apple went from offering an amateur and professional program to a high-end enthusiasts program, one with the flexibility to integrate with 3rd-party specialty offering that greatly extend the users’ options. Like many avid photographers, I have a lifetime of pictures. Having retired a couple of years ago, I now have time to organize them and make them available for others. After frustrating attempts using the professional’s choice organizing program, I skeptically spent time with Photos and found it surprisingly welcoming and comprehensive beyond my expectations. After digitizing over 10,000 negatives, I’ve started on my mountain of 35mm slides. I have devoted some time to learn more about scanning technique, which has been very helpful and also led to some equipment upgrades. 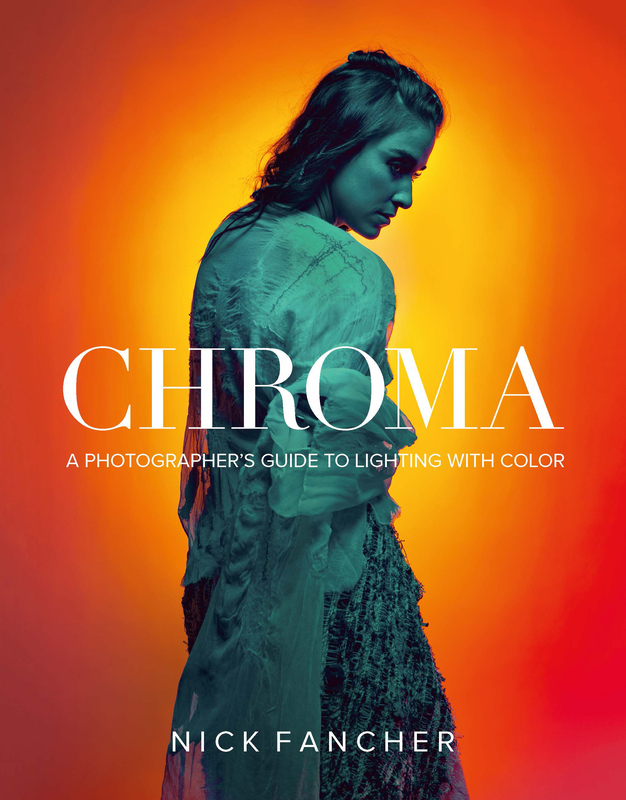 Almost as an aside, I spotted Derrick Story’s book on Photos and thought it might have a couple of tips to fine tune my use of Photos as well. It has more than met my expectations with techniques and deeper understanding of organizing. 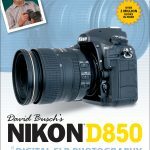 I use Luminar and Photoshop as well, but maximizing Photos’ non-destructive tweaks appeals to me and this book has really helped me maximize that approach. 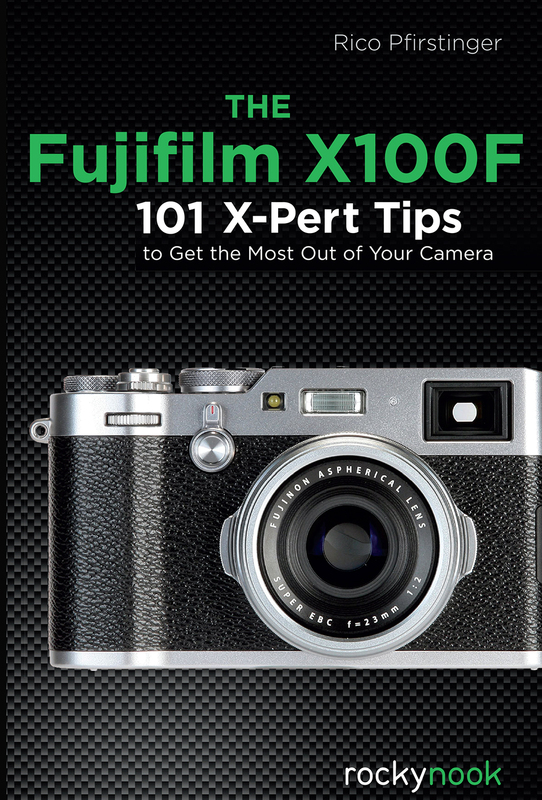 Considering how this book has influenced my whole workflow, it has been a great value.